Beware of living blissfully in an online bubble. Until fairly recently, if you’d asked me I’d have said that the online knitting world I was part of was a friendly, inclusive place. Sure, it was a bit low on men and maybe not as culturally mixed as it could be, but that wasn’t for want of being welcoming, surely? Then I saw a few comments here and there from people who felt that they were pretty much invisible or couldn’t be included. It’s made me think hard about whether I will continue to use the phrase ‘affordable yarn’. Jo Milmine recently put out a hilarious and thought-provoking Shinybees podcast (number 114, find it here) about Yarn Snobbery. It’s something a lot of us joke about, sometimes wearing the badge of yarn snob as an ironic badge of honour. In a lot of ways I don’t think there’s anything wrong with having tastes that sway towards the single-breed, hand-dyed skein. I would say that, because I myself love learning the stories behind certain breeds of sheep and knitting traditions because it feels like a tangible way to touch, even be part of, a culturally valuable heritage. I love knowing about the passion and creativity that goes into an indie-dyed wool. In addition, by buying more specialist yarn you are often supporting small artisan businesses, not to mention making more environmentally and ethically sound buying choices. It’s a big part of my knitting identity and as a result, my social media feeds are full of pictures of these beautiful materials and the things people have made with them. I wouldn’t have thought much more about it if I hadn’t then read comments (totally unconnected to the podcast) from knitters who say they feel that if they don’t knit using the ‘right kind’ of wool (for example man-made fibres from big-box stores) or make the ‘right kind’ of pattern then their work is more or less ignored online. I’ve recently been re-reading Grayson Perry’s ‘The Descent of Man’. In the early chapters he talks about the process of ‘othering’, whereby (in his example) the experience of the white man is accepted as the ‘normal’ and everyone else outside that experience is ‘other’. Is it possible that for the ‘cool kids’ (an expression used in one of those comments from someone saying they felt excluded by the online knitting community) using certain types of yarn and knitting certain types of pattern has become ‘normal’ and that this is ‘othering’ those who don’t choose to or can’t afford to? There. I mentioned the money thing. That’s the elephant in the room. People will insist that knitting can be a pretty cheap hobby, but what does ‘cheap’ mean? If you want to knit the latest Instagram-beloved sweater or shawl in the must-have yarn of the moment, especially in a larger size, then you can be talking about an investment pushing (or often exceeding) £100. For some, the hours of relaxation in the making, creative fulfilment, aesthetic pleasure and then the joy of wearing (or giving) something unique and beautiful make this a bargain or a least an accessible luxury. For others, this is unattainable, unjustified expense- and usually this comes down to the amount of disposable income you have. I suspect that this dichotomy exists in almost any hobby you care to mention, or any playground or society for that matter. It doesn’t mean the people who can afford it should stop or feel guilty about it, but if we truly are going to be an inclusive, friendly tribe, we need to know that it’s not everyone who can afford to invest those amounts of money in their hobby. The reason all this makes me question using the phrase ‘affordable yarn’ goes back to that idea of ‘othering’. If you were to talk about ‘expensive’ or ‘inexpensive’ yarn then you could set up a numerical scale for the cheapest and most expensive yarn and point to the ones lower down the scale as ‘inexpensive’ and the ones further up as ‘more expensive’, ‘most expensive’ etc. ‘Affordable’ speaks to what any given individual can ‘afford’ to spend and is therefore instantly more personal and subjective. As soon as I declare a yarn to be ‘affordable’ I set up those who agree they can easily afford it as ‘normal’ and those who can’t as ‘other’, as surely as I provoke another group into turning their noses up that I would consider using something so cheap. Making a judgement of the value of the material dependent on how much money it costs is questionable, and if that in turn leads to the work people share online being similarly judged as less valuable (read ‘like-able’ or ‘click-able’) because of the monetary worth of the materials it is very questionable. There are many knitters out there who aren’t knitting with the single breed, hand-dyed skein. It’s not always going to be a question of money. Maybe they have allergies which prevent them using natural fibres. Maybe they are vegan or otherwise ethically opposed to using animal products. Maybe they just like the brighter colours and ease of care that some less expensive, less ‘cool’ yarns offer. Maybe their places to buy yarn are limited. Maybe we shouldn’t need to know why, because it’s just the yarn they use- not ‘other’ yarn, just ‘yarn’. The point is that they shouldn’t feel excluded or ignored. Yarn is yarn. 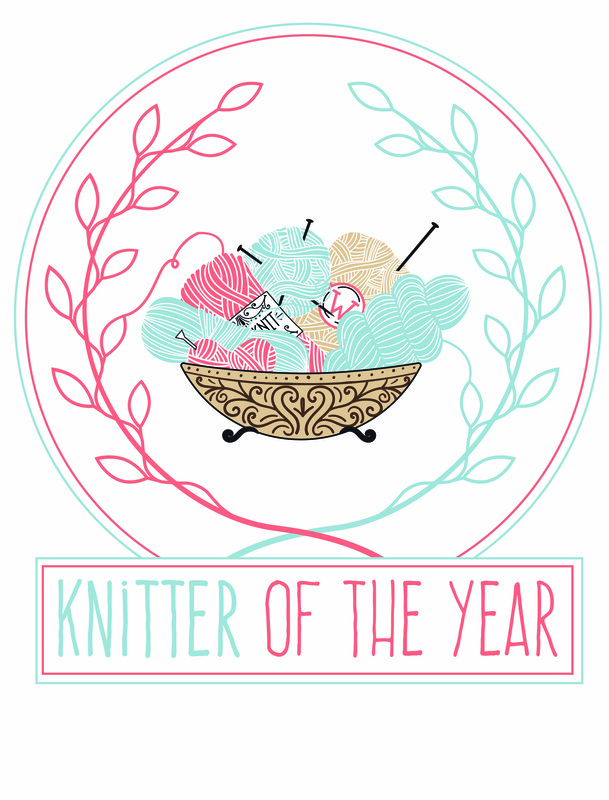 Knitters are knitters. If the world needs anything, it needs more inclusion. Well written post. And it made me think. I particularly liked your ‘maybe we shouldn’t need to know why’. I try not to judge but find myself doing it more than I am proud of. So, yes, the world does need more inclusion. Thank you.